Guest Spot Adele Alto Saxophone Book & CD. Step into the spotlight and play along with the backing tracks on the specially recorded CD. 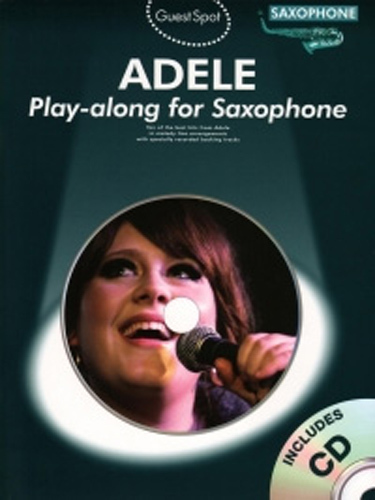 Contains 10 of the best hits from Adele arranged for alto saxophone. Songs include, Chasing Pavements, Cold Shoulder, Hometown Glory, Ill Be Waiting, Make You Feel My Love, Right As Rain, Rolling In The Deep, Set Fire To The Rain, Someone Like You, and Turning Tables.